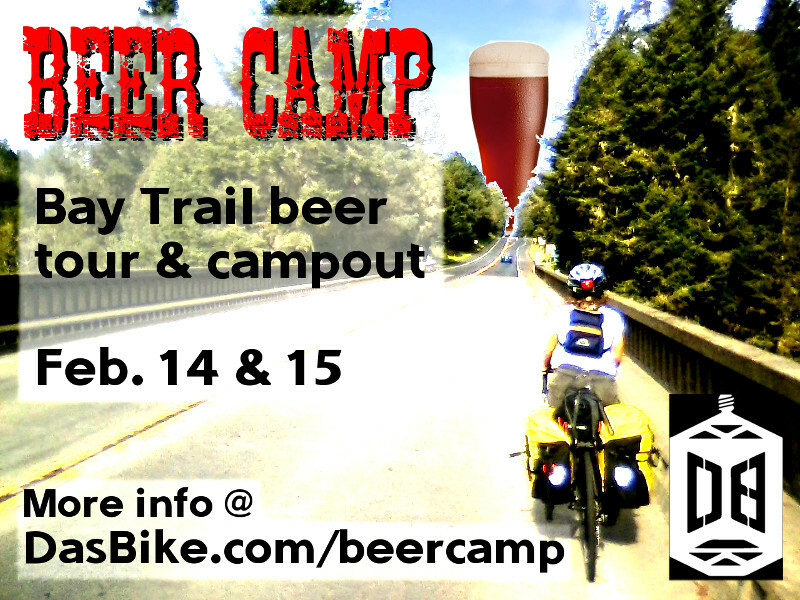 Posted in: Beer, DasBike Event, Events, San Francisco. Thanks a ton to NOW!, Morgan’s friend who donated the bikes to auction off, Bread SRSLY, Cyrpian’s ARC, Comrades, all of our sponsor farms, the lady who gave me all the free chicken & waffle potato chips, and all of y’all who came out! 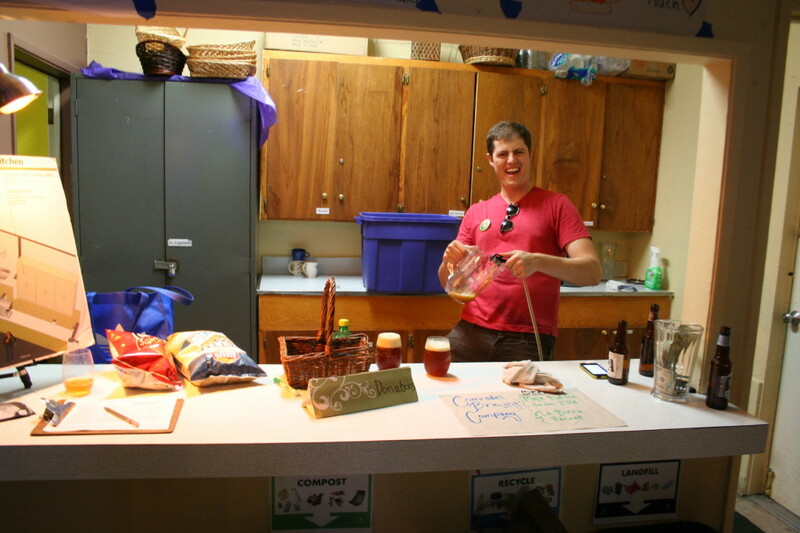 We had almost 60 people come out and raised over $500 for the kitchen renovation project! More info on the movie night! 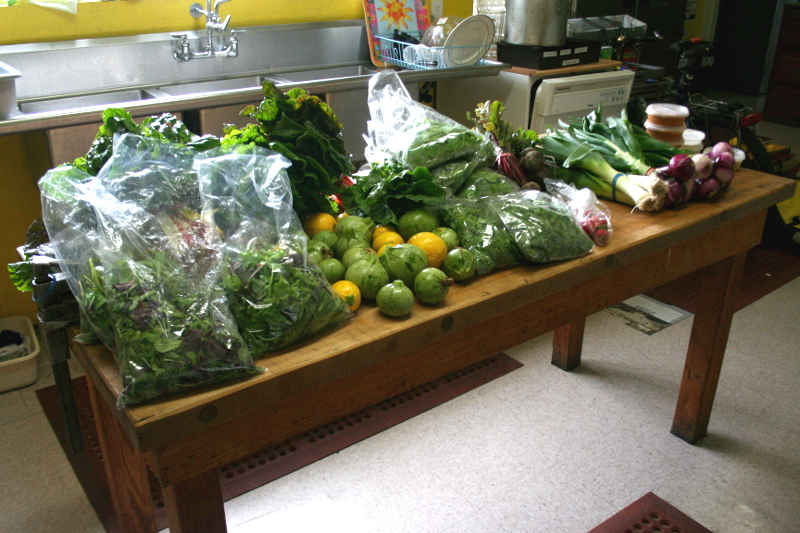 Loads of produce for Tuesday! 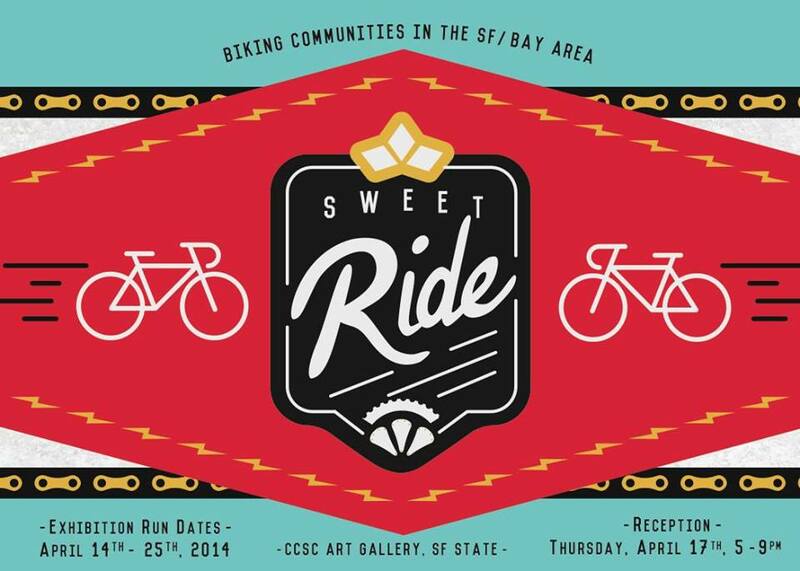 For the last DasBike-In Movie Night we’ll be featuring a whole night of local bike films by the Bay Area’s finest! 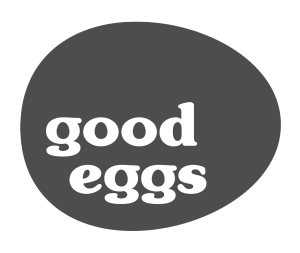 As usually, we’ll have free dinner and could totally use help in the kitchen as early as 4:30pm! Come early to help out! Call for Photos – The Art of Carrying Things by Bike! To get you in the mood for this month’s screening, we’re asking for your participation! Have you carried things by bike and captured it on film (digital or otherwise)? 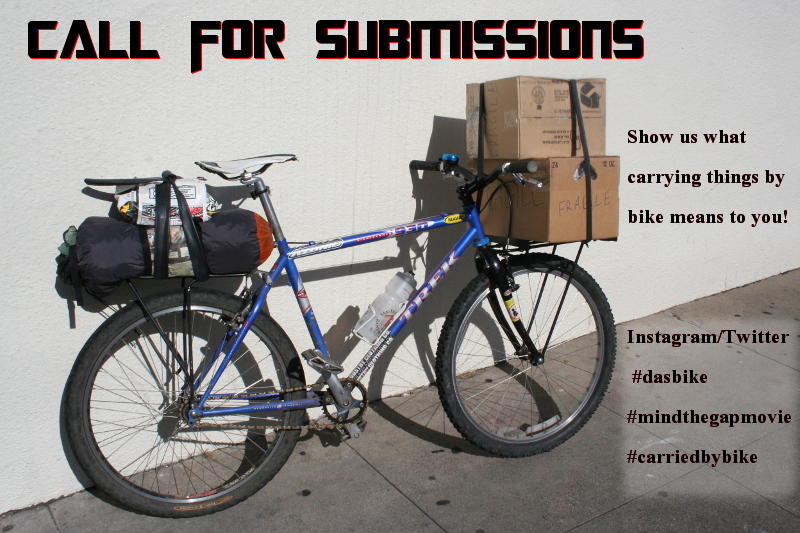 Post your photo to Instagram or Twitter using Hashtag #dasbike, #mindthegapmovie, #carriedbybike to share photos of your carried by bike set up. Did you use your bike for camping? Moving? Carrying your cat? Bringing home dinner? Carrying your friend? Whether you carry a little or a lot, bikes are a fashionable way to carry all sorts of stuff. We’ll be creating a slide show of your pics and showing them before the films. Post by midnight Monday, May 26. And when posting, feel free to include a short note on where you were going with your stuff and how much fun it was to carry it by bike! 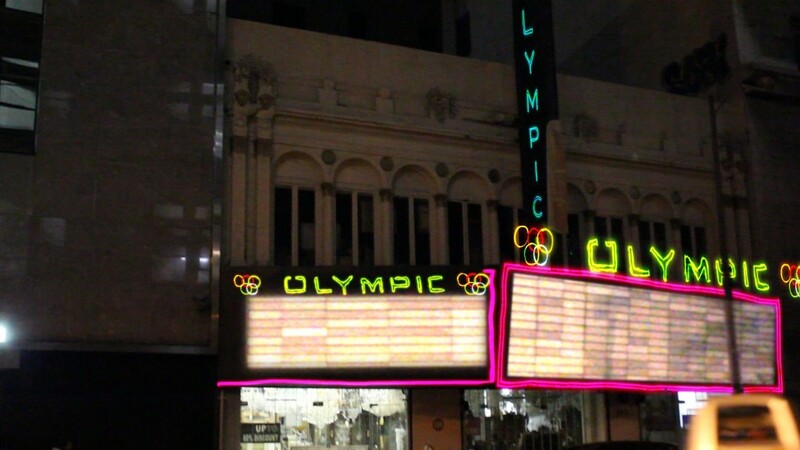 architectural restoration to envision many of the decaying cinemas in downtown Los Angeles as they once looked in the Golden Age of Cinema. Huckleberry has made over 20 short films both independent and as commissioned projects. Screened film across the world including the New York Underground Film Festival, LA Children’s Film Festival, the Damah Film Festival in Hiroshima, Japan, the Punto y Raya Festival in Madrid, Spain and other locations. He obtained a Masters in Fine Arts from the University of Southern California in Digital Arts and Animation. Studied under leaders in the field of filmmaking both inside and outside of academia including Mike Kuchar, Bradley Eros, Kathy Smith, Christine Panushka, Maasaki Tanabe and many other esteemed filmmakers. Board Member of the art organization NewTown based in Pasadena, California where he now curates and organizes exhibitions and film screenings. Works with the iotaCenter, a nonprofit organization for promoting and nurturing abstract animation, produced and curated countless events, the DVD’s of Adam K. Beckett and Bill Alves and facilitated many interactions with artists all across the world. Recently started a grassroots art gallery and film screening space called piXel (+) freQuency. The Art of Carrying Things by Bike, a short created to inspire bikers new to commuting by bike, yet enjoyed by those already carrying things every day. Laura J. Lukitsch, is a filmmaker with a passion for biking, thanks to her new work-in-progress documentary film, Mind the Gap, a film about the gap in urban transit infrastructure, one that prioritizes car and not people. She created the Mind the Gap web series which examines the joys of sustainable transit. Other films include the feature documentary, Beard Club, and installation project, LOVE. 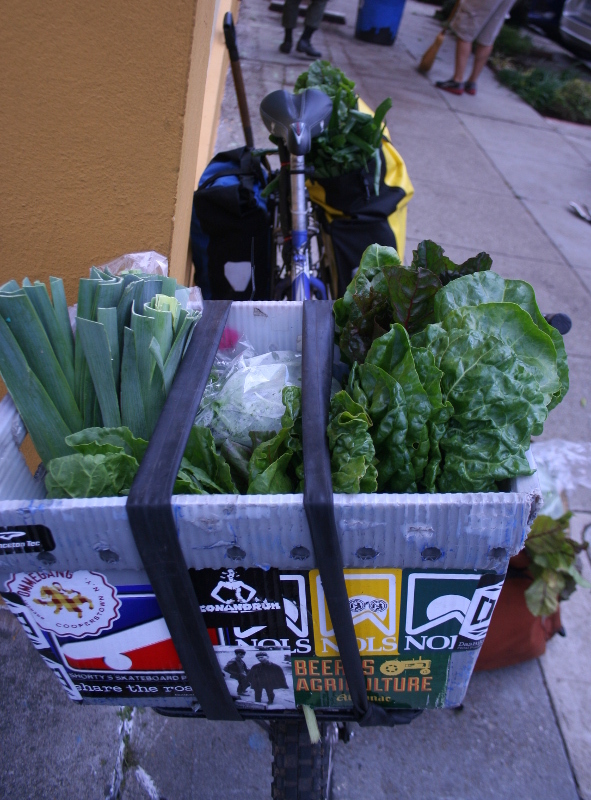 We’ll have a contest for the best photo of your cargo bike! Share pics via Instagram #mindthegapmovie, #dasbike, #carriedbybike to enter! The crowd will vote on the favorite and the winner will be very pleased with a very delicious prize. . . .
Ellie is fascinated by how people build up different social frameworks around bikes. Creativity by bike, quirkiness by bike, social innovation by bike, parties by bike. The list goes on! Hence her blog, The Bike Beat. Basically, she believes that a wide array of conversations about the way we exist in the world can stem from bicycles. She also moved here on a solo, self-supported bike tour around the Northwest US–San Francisco was very deliberately the last stop on her way, just in time for Tour de Fat 2013! She’s an aspiring storyteller across digital media, and is currently the Communications Assistant at the SF Bicycle Coalition. If you know of any innovative bicycle happenings, or want to be a contributor to The Bike Beat, please let Ellie know! Interested in collaborating with people who like to tell bike stories through sound, web, words video, photo, infographics, animation, painting, printmaking, zine-making, etc. Kristin Tieche is an award-winning producer and editor. 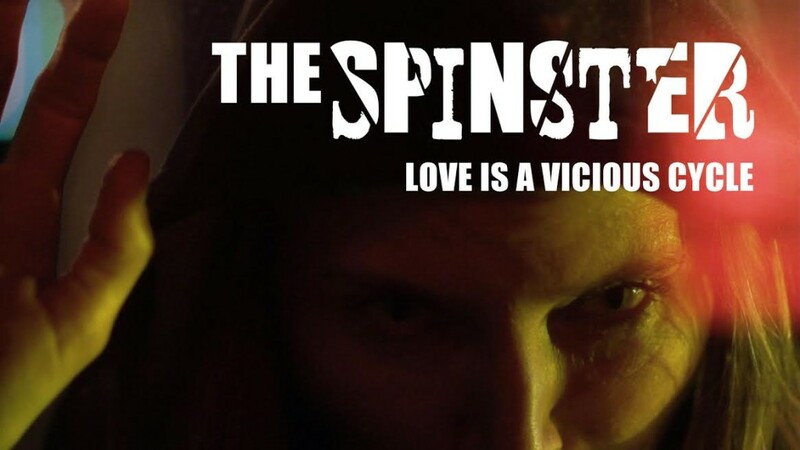 recent film, “The Spinster,” is currently in festivals. at CBS has also received two Emmy nominations. Also, Kristin will have merchandise available for sale after the movie! Neighbors Developing Divisadero interviewed bike riders at the Western Addition Sunday Streets in September 2012 to find out their tips for sharing the Wiggle with other cyclists, drivers, and pedestrians. 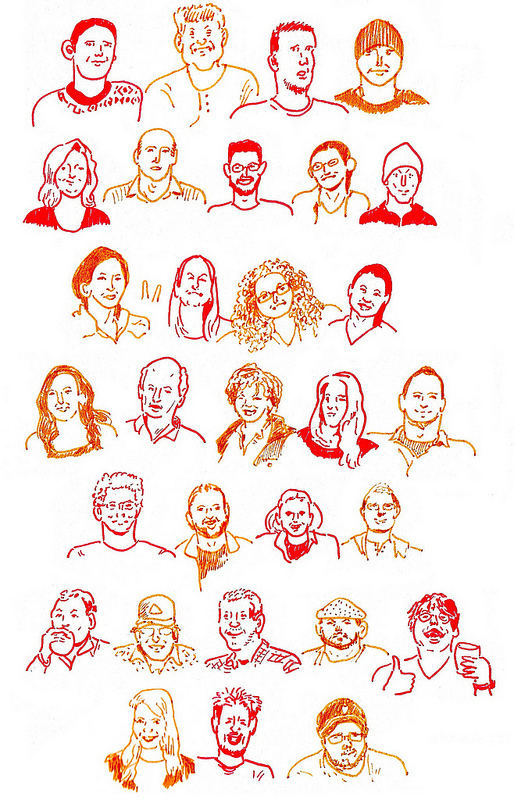 Featuring Susan King, Director of Sunday Streets (“I always slow my roll….Slow and go!”), Morgan Fitzgibbons, Divis neighbor/co-founder of the Wigg Party (“Make eye contact … and smile”) and Divis neighbor/interviewer Pauli Ojea (“The Wiggle is my best friend late on a Friday night”). Produced/co-edited by Amy Farah Weiss, founder of Neighbors Developing Divisadero, and filmed/co-edited by Divis neighbor Paul Hudson. Neighbors Developing Divisadero creatively, collaboratively, and strategically supports the development of the Divisadero Corridor and surrounding neighborhoods through a lens of cultural enrichment, social justice, and sustainability. NDDivis develops and facilitates opportunties for Divisasdero neighbors to actively participate in shaping, protecting, and enriching the neighborhood we live in and love. 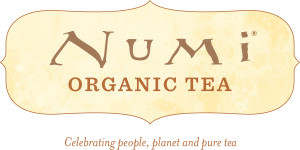 Special thanks to Good Eggs and Numi for hooking us up with tea and strawberries! Posted in: DasBike Event, Events, San Francisco. 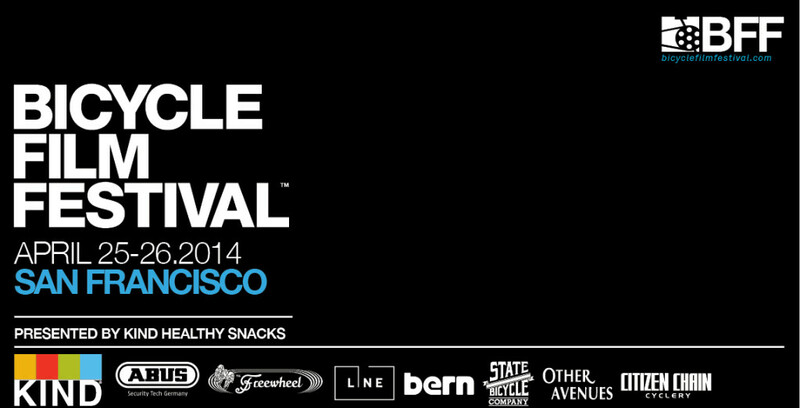 One Day in San Francisco & BFF next Saturday! Posted in: Events, San Francisco. I wanna do the SF 49 Mile Scene Ride. So I want to start early. Maybe do a sunset ocean ride too. I will post more info here, but email me if you want to be a part of the planning (dasbikesf at gmail). Meet at Alamo Square Park on Saturday, Arpil 26 at 2pm. Bring any video cameras you may have. If you ain’t got none, don’t worry about it. But most importantly, bring your ideas regarding stories you want to share and where you want to film! Think about how bikes are important to the future of SF and how bikes interplay with other aspects of life here and now. If you want to be on TV and in the geotagged archive mentioned in the trailer you have to sign up to participate in One Day In SF here. Ellie will bring a bunch of copies of the additional release form to the beer hangout, but you gotta sign up at the above link. Ellie has agreed to edit our footage and show it at the final installment of the DasBike-In Movie Nights, where we’ll also be showing other bike films made by Bay Area people. I’m also thinking of doing group ride around town before meeting up at Alamo Square. Anybody interested? Cool? Cool! Join the Facebook Event! One Day in San Francisco from One Day on Earth on Vimeo. 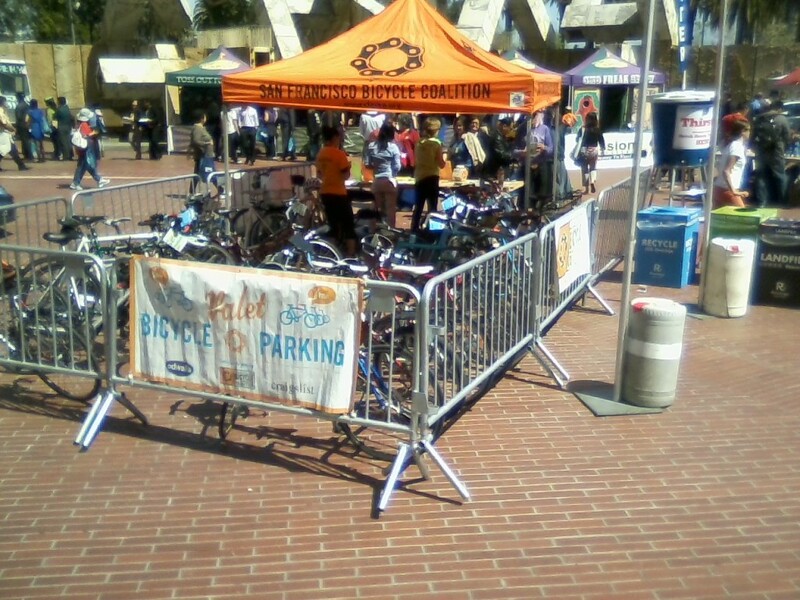 SF Bicycle Coalition is hiring Bike Valet Supervisors! I need to hire some more folks to park bikes with me! You get to hang outside & be around bikes & lots of people. Sometimes you get free sandwiches, cookies, or Levi’s. Daytime availability is a must. Check out the job description and apply! Bicycle Film Festival April 25 & 26! 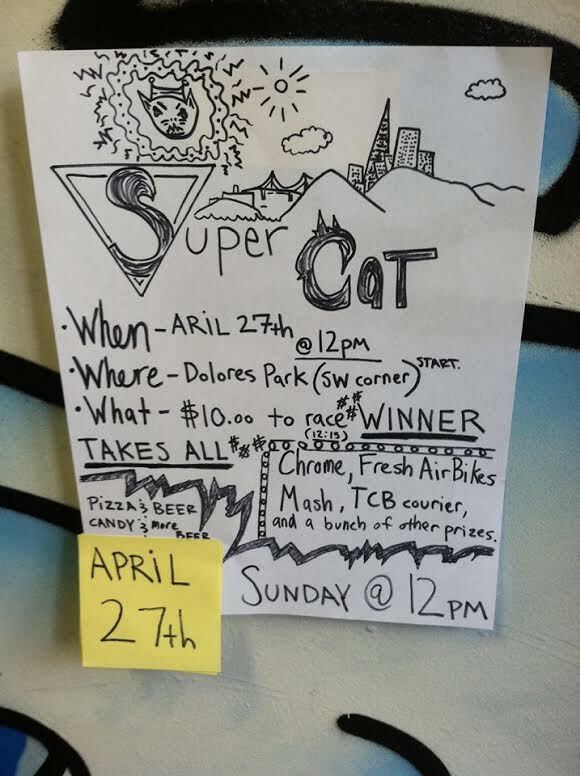 Posted in: Events, Races, San Francisco. 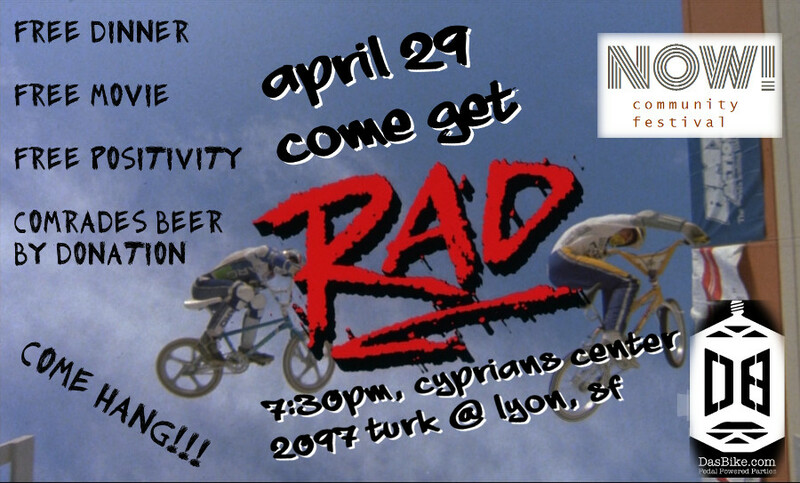 Come get RAD at the next DasBike-In Movie Night! 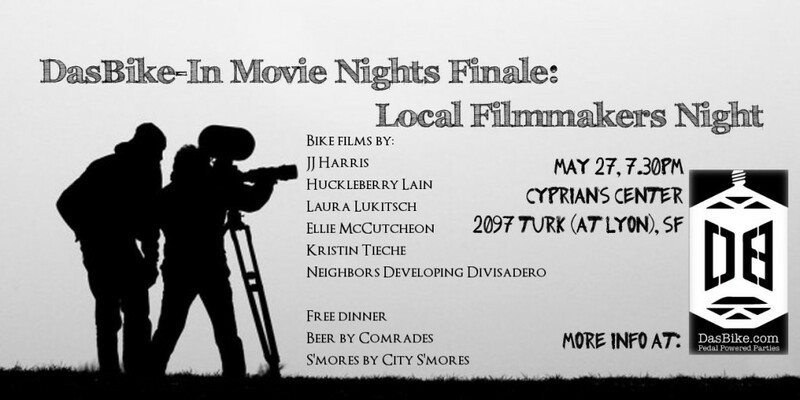 We’ll be hosting the next DasBike-In Movie Night as part of the NOW! Community Festival!